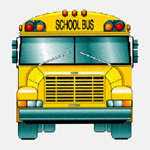 Citadel VTS School Bus Tracker can be used by Educational Institutions to monitor their fleet of school bus, report exact location of the student to parents enquiring about status and ETA. It can be customized to locate the residence of students or persons who are availing the school transport facility on the real time map. Real time tracking assists the transport manager to dispatch and guide a standby bus to the required spot reducing down time. Real time display of the bus travel can give added advantages of reporting delays to parents waiting for their children. The operator can also get reports on overtime, fuel and vehicle usage, speed, plan routes, identify logistical inefficiencies and record the travel. Citadel VTS for Emergency Services helps in locating the patient on the map, find the nearest ambulance and locate the nearest hospital from the ambulance. What differentiates Citadel VTS is its ability to enable primary treatment delivery even as the patient is in the ambulance. Interfacing the medical equipments such as ECG, Puloxymeter Blood pressure monitor to the Vehicle Tracking Unit gives Hospital emergency crew instant access to patient's vital details. Following the hospital's advice, the ambulance crew can impart primary care or re-route the ambulance to the nearest hospital with specialists available. Having had access to the patient data, the hospital is ready to deliver the right care, as the patient is brought in. Citadel VTS can be used for Taxi monitoring. 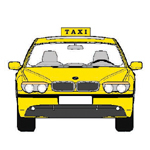 It can be customized to locate the passenger location on the map, location of the nearest taxi and location of the destination. The operator can also get reports on overtime, fuel and vehicle usage, identify logistical inefficiencies and record the trip. The last feature can help taxi operators to provide secure transportation to passengers. 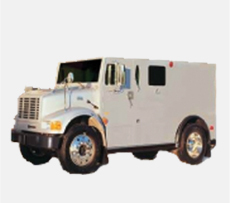 Citadel VTS can monitor movement of Private Armored Vehicles used to carry valuable items such as precious metals and cash. Pre-fixed routes are loaded into the application and linked to the fleet. Any vehicle deviating from this pre-fixed route can set off an alert. The application can generate reports on vehicle utilization, overtime, fuel and vehicle usage. 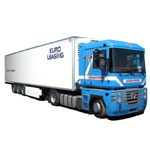 The operator can also use the application to plan delivery routes, identify logistical inefficiencies and provide end customers with real time tracking of consignment. The fleet owner can plan an efficient delivery system using Citadel's VTS. Know real time status on the fleet. The Citadel VTS's value added feature which enables the fleet owner to have information on crucial parameters such as Temperature for refrigerated food trucks. Further the manager can get reports on overtime, fuel and vehicle usage, plan delivery routes, identify logistical inefficiencies and provide end customers with real time tracking of consignment. Citadel VTS can be easily integrated with various sensors.